Vanilla has been trading in the leather and lambskin industry since 1989, Vanilla are committed to the production of superior leather handbags. Vanilla Leather strive to create stylish designer handbags. Designed and made in France, Vanilla Bags are produced using natural and patent leather to ensure exclusive and 'chic looking' products. You will find the best service in London! Our promise: Good quality products, Good prices, 1-2 days delivery. 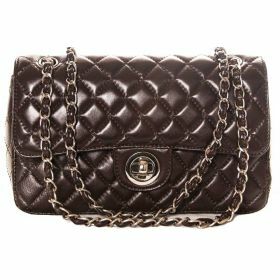 We specialise in fashion leather handbags. We do not only design our handbags but we make them in France; Hence our customers get the best quality products at the lowest possible price. 21 Effie Road, SW61EN, London.